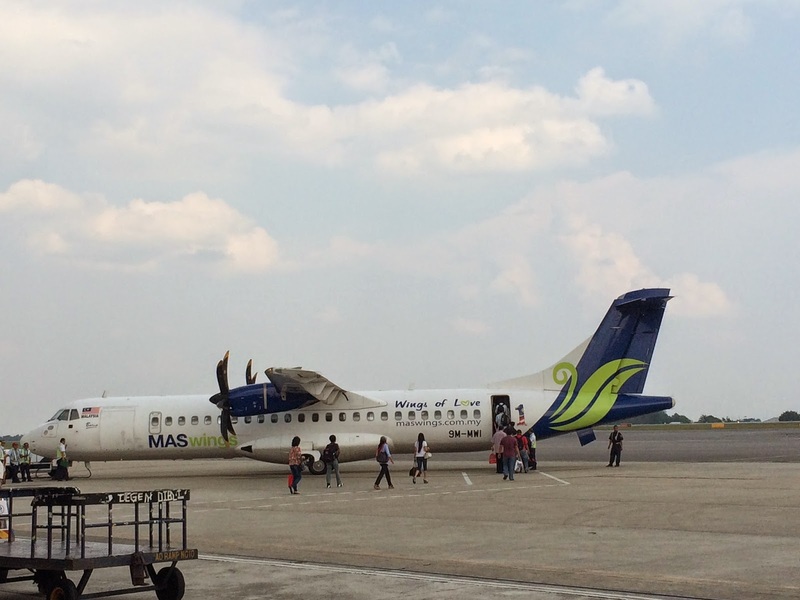 We had an uneventful flight from Singapore to Kuching and from Kuching to Sibu. 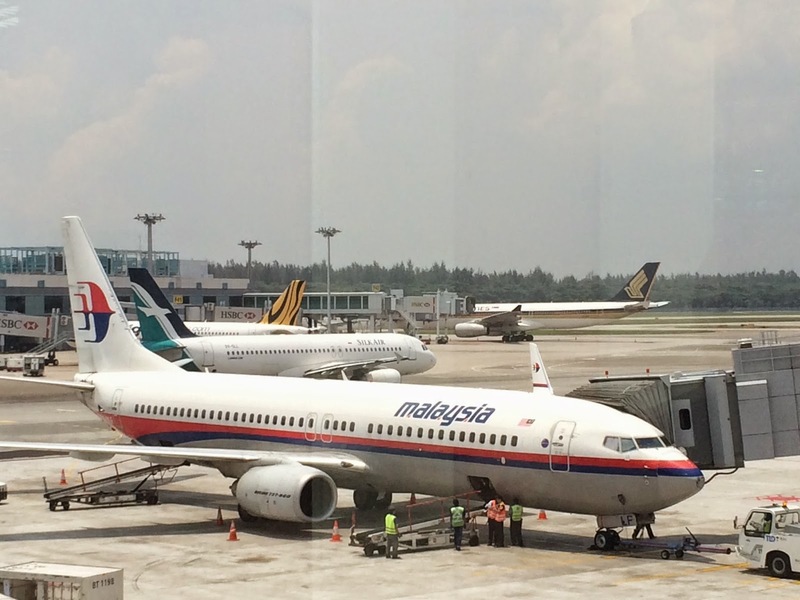 Both flights were aboard Malaysia Airlines. These are the planes that we took. The first is a nice jet, but the seats were really close together. I let our an unintentional, audible sound when the guy in front of me leaned his seat back! I was stuck! It took me a minute to get my knee un-wedged so I could be comfortable (I use that term loosely!) for the remainder of the flight. The lunch on this flight was pretty tasty. I thought it was better than on the other airlines we used. The second plane was a little older. Sister Bodell thought it was a refurbished WW II cargo plane. If it had air conditioning, it was non-functional. It was pretty warm, but a quick flight of less than 45 minutes. All passengers were served a chocolate drink on this flight. It was pretty good. 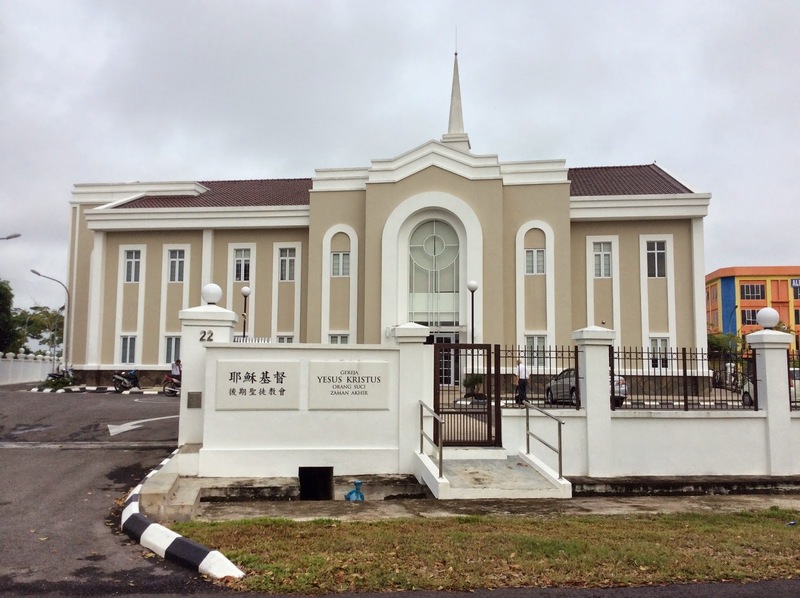 We were met at the Sibu Airport by Elder and Sister Mills. They're a couple that serves in Sibu-Jaya. It was good to see them in their missionary attire. It was easier for us to recognize them than the other way around. We were able to dress down for the flights today. Sister Mills had a cold drink waiting for us. It's call 100 and resembles Fresca in taste. It was very refreshing . . . something we needed. We were later joined by Elder and Sister Beus, the couple we're replacing. Pictures were taken, but not by either of our cameras. Hopefully someone will forward one to us. Elder and Sister Beus took us to our new home. I'll share some pictures of it later. That night we went to a going away party at the church for the Bueses. It was sponsored by the 1st Malay Branch. There were members of the 2nd Branch there as well. They honored Elder and Sister Beus and showered them with gifts. They spoke, and then the Branch President asked that Sister Bodell and I say a few words. We were glad there were younger missionaries there to translate for us. We were then able to come home and have a good night's sleep. We felt pretty rested this morning when we awoke. Today, Sunday, was a marathon of meetings. Elder and Sister Beus picked us up about 8:35 and took us to church. We met with the 2nd Branch first. Elder and Sister Beus were asked to share a few thoughts before the speakers. They, of course, spoke in English. The other speakers were mostly speaking in Eban, so we didn't catch much of what they said. There is no Malay Hymn Book so they use the Indonesian Hymn Book. It's a little different, but we were able to follow along. We were also asked to share our testimonies in the 1st Branch. We've been invited to do the same next week in the 2nd Branch. We met with the 1st Branch after that, and stayed around to meet some of the members of the Chinese Branch that Elder and Sister Beus knew so they could say good-bye. So were at the church from 8:45 this morning to about 1:30 this afternoon. It was a long day, but the spiritual feeling was wonderful. Here is a picture of the Chapel and the entryway of the church. 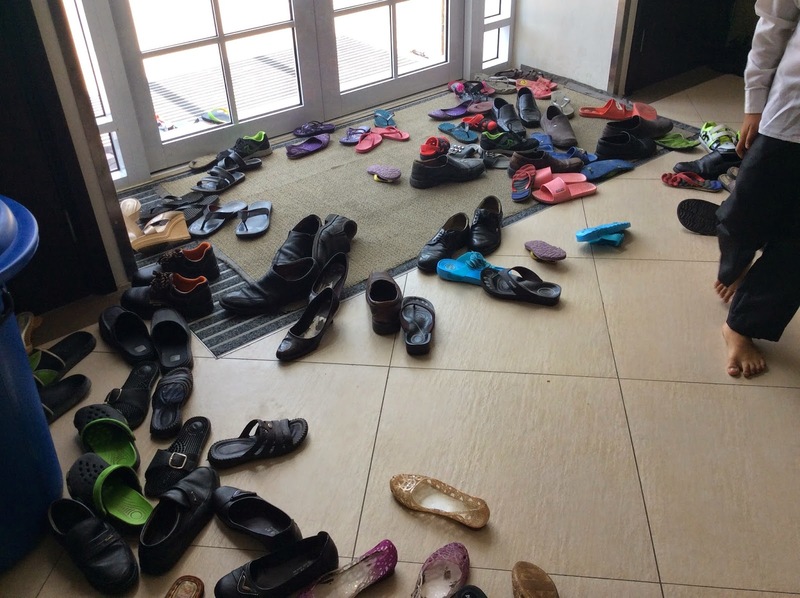 Everyone takes their shoes off before entering the church. They even took them off at the farewell party. I loved seeing one of the branch presidents conducting in his white shirt, tie, suit, and bare feet. I think I'm going to enjoy learning about this culture. Tonight we're going with Elder Beus to take the missionaries somewhere. It's quite a drive, but this way they won't have to ride their bikes home after dark. Speaking of after dark, in case you were wondering, the sun rises at 7:00 in the morning and sets at 7:00 at night. It's the same all year long. I guess that's what happens when you're so close to the equator.